One point solution for APPSC(Andhra Pradesh PSC) Exam . Study Material and Notes PDF From Successful Aspirants and expert faculties at affordable price. 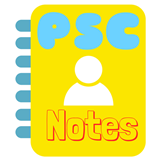 PSCNotes is Unified Website for IAS and All State PCS Exam Preparation Aspirants. Now coming to APPSC Group I,APPSC Group II and APPSC Group III preparation, we at psc notes have several programs for dedicated preparation of APSC Exam. Andhra pradesh February- 2019 Current Affairs PDF Module..
Appsc Prelims and Mains Tests Series and Notes Program.Note- This product is a combination of Prelim..
87 Pages of Quality Study Material, Must For Group I Prelims and Mains Exam..